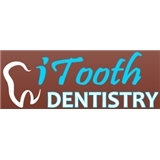 iTooth Dentistry (Richardson) - Book Appointment Online! At iTooth Dentistry, our staff is dedicated to provide you with the very best in dental services. We believe in staying on the cutting edge of the latest dental technology and techniques. Our office is state of the art all-digital facility with comfortable and relaxing environment to provide you with personalized and gentle care. Very professional, courteous, clean, comforting, simple, & above & beyond any dentist I've been to before, & I have only been to good/decent ones.